As expected, kids are hard on bikes. They zoom, race and bump along and the bikes take a beating in the name of having fun. 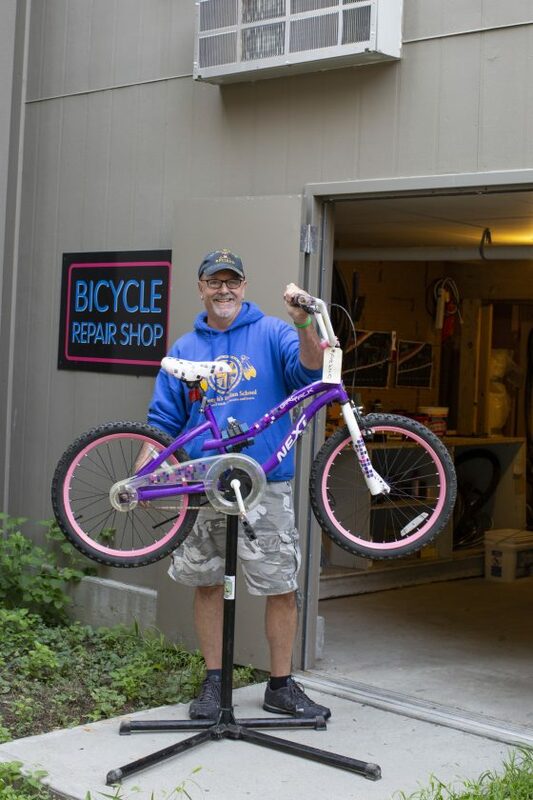 Rich, a houseparent at St. Joseph’s, spends his spare time keeping bikes on campus in working order. Luckily for St. Joseph’s, a broken bike isn’t a lost cause. Houseparent Rich doubles as a handyman! When Rich moved to Chamberlain to become a houseparent, he didn’t exactly expect to be spending his spare time fixing broken bicycles, but it’s been a blessing to our school. Before coming to work as a houseparent four years ago with his wife, Tara, Rich had a full career in the Navy and then in the business/sales sector, meaning he spent his fair share of time in the “Rat Race.” But, he said the more money he made, the more time he spent away from loved ones. He needed a change for himself – for his family. “That’s how we ended up here,” he said. Rich said many people, including himself at one time, wondered “Who in their right mind would become a houseparent?” but for him and his family, it’s been a perfect fit. “Call it a gut feeling, maybe a calling or whatever, but we just felt drawn to be here and it’s a simple job. All the kids care about at the end of the day is having someone who cares. For us, that’s an easy thing to do,” he said. And showing he cares not only with his words, but with his simple actions of fixing a bike while students are in class, is something they really appreciate. Most often, the problem with the bike is the tires have worn out or the chain has ripped. “Simple fixes” according to Rich. But, sometimes a new request comes in that takes a little more thought and creativity, such as turning a regular bike into a trick bike. 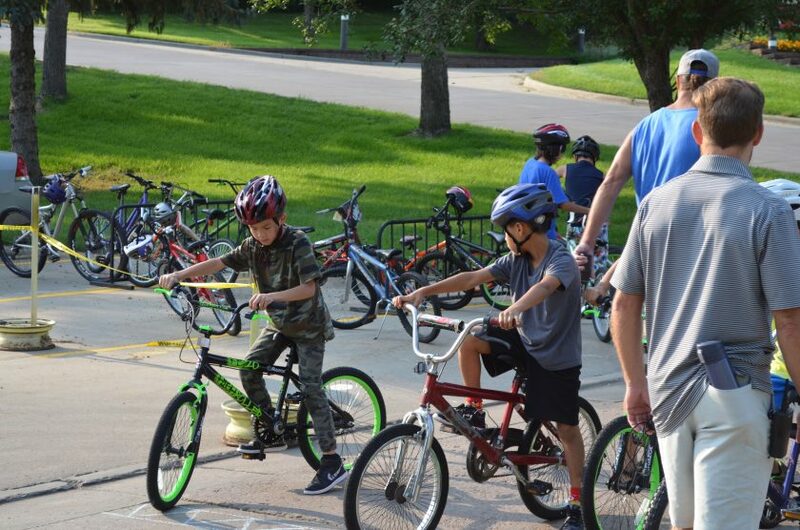 When it comes to riding bikes, kids are always on the go, go, GO! Because he doesn’t throw away bikes that have been deemed unfixable, he has spare parts around to fulfill such requests. Or, if he finds himself with no bikes that need repairing, he’ll take parts from all the broken bikes in his shop to create a new, working bike. But, it’s fun for Rich, too. He laughs that he came to St. Joseph’s for a new experience, and yet found himself fixing bikes just as he did when he was a teenager. 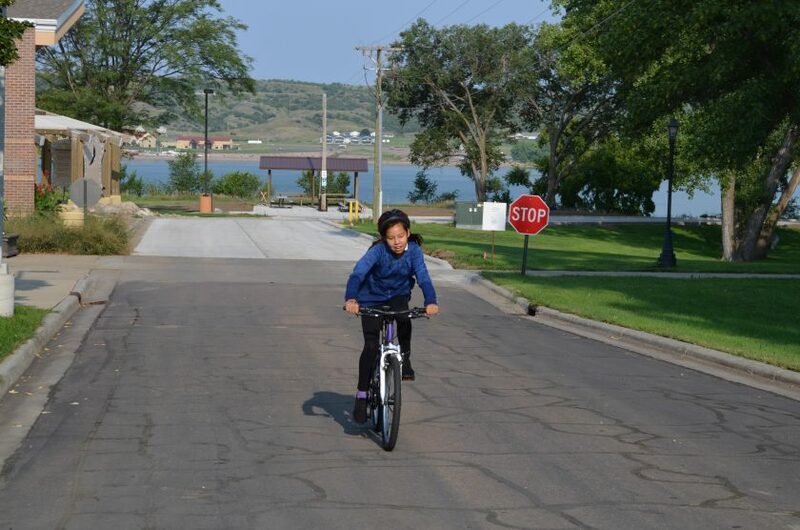 Pilamaya – thank you – for supporting Lakota (Sioux) children at St. Joseph’s Indian School. My wife & I were adult care coordinators for DD adults in Omaha, NE and it was very rewarding job and opened our eyes to a lot things we did not know. That’s wonderful! Caretaking jobs have their challenges, but are oh so rewarding.